Fitzgerald: “I think a lot needs to change. I do think that we need to take a very keen eye to adversarial politics. And the impact it has on individuals. I was very lucky that there was a Charleton Report and that I was completely vindicated and I was seen to have resigned, you know, in the interests of the country which I did, a personal decision. 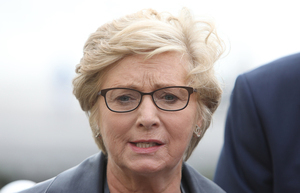 Ms Fitzgerald stood down from her Tánaiste and then business ministerial role – just ahead of a confidence vote – in November 2017, following a controversy surrounding the 2015 O’Higgins Commission of Investigation into complaints about policing made by former Sgt Maurice McCabe and the legal strategy adopted by An Garda Síochána in respect of that. 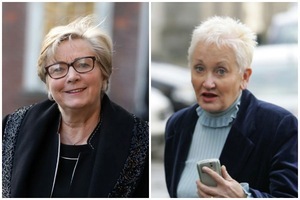 “She [Frances Fitzgerald] confirmed to me that she had no hand, act or part in forming the former commissioner’s [Noirin O’Sullivan] legal strategy. “Nor did she have any prior knowledge of the legal strategy that the former commissioner’s team pursued. On November 20, 2017, Prime Time’s Katie Hannon reported on RTÉ’s Claire Byrne Live that a Department of Justice spokesperson had confirmed to her that Ms Fitzgerald was first made aware of the legal strategy in May 2015. On November 21, 2017, Ms Fitzgerald then gave an interview on RTÉ’s News at One, to Áine Lawlor. During this interview, Ms Fitzgerald told Ms Lawlor that she had received an email in May 2015 – at the beginning of the O’Higgins commission – stating a criminal charge against Sgt McCabe had been raised at the O’Higgins commission and that it had been claimed that this charge hadn’t been properly investigated. The email said a row subsequently ensued between the counsel for Sgt McCabe and the counsel for the commissioner because of this claim. Ms Fitzgerald said the email had been discovered by the Department of Justice during the previous week and she couldn’t recall reading it in May 2015. Diarmaid McGuinness SC, for the tribunal, had asked Ms Fitzgerald, repeatedly, why the letter didn’t set off alarm bells for her? ; why she didn’t ask herself ‘what is going on?’; why, if she didn’t feel she had precise details, did she not speak to her officials about the matter? 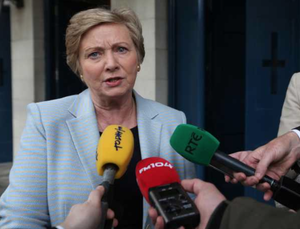 ; why, if she didn’t think it appropriate to ask questions, why she didn’t ask the Department of Justice’s counsel to speak to An Garda Siochana’s counsel? Ms Fitzgerald said she didn’t think it was appropriate and that she felt it was a matter for Judge O’Higgins. 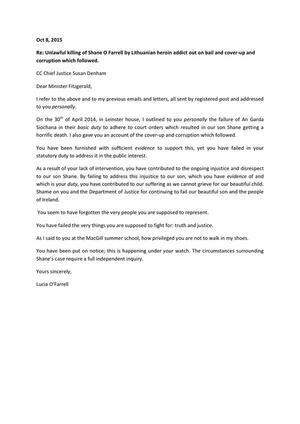 She said she never consulted with the then Garda Commissioner Nóirín O’Sullivan, any of her officials or any of her advisors, or anyone else copied into the email. She also said she wasn’t aware of phone calls that had taken place between the then Assistant Secretary to the Department of Justice Ken O’Leary and Ms O’Sullivan on the same afternoon the email was sent. Mr Charleton later found Ms Fitzgerald had acted accordingly and Sgt McCabe was “not traduced” before the O’Higgins commission. 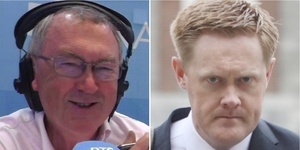 Members of Fine Gael have repeatedly said that as Mr Charleton found Ms Fitzgerald had acted appropriately in regards to the email, this “vindicated” her. However, the Taoiseach himself said on the day of Ms Fitzgerald’s resignation that her stepping down was mainly due to the Department of Justice itself and the lack of answers forthcoming from it. “Had questions been answered properly and in full, I certainly would not have had to come into the House on two occasions to correct what I had said. The information I have given in the House has always been the full truth, or at least the truth as it was given to me. 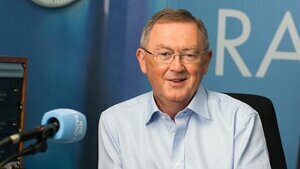 RTE in full FG soft interview mode. Can’t wait for Finnuala Finnucannot’s special guests. Or that other ‘presenter’ Brendan O’Connors. They really do operate in an alternative universe where up is down and black is white. this is a display of the disdain that these people hold their fellow citizens in. Keep saying the same falsehood and it becomes the truth and if anyone calls you out on it deny, deny, deny. And O’Rourke is another sap… he used to be a journalist didn’t he? And the State broadcaster is proving a platform for Slánaiste on this issue because?